Fly down to Johnny Rockets to sample their famous Gardein Black Bean burger – something we think is a must try for all discerning veggie burger connoisseurs. This is a burger joint after all, and it’s nice of them to think of vegans while compiling their menu. It tastes as good as it looks. Their apple pie is vegan too for those who fancy dessert! 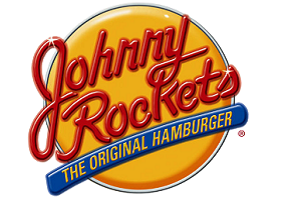 “At Johnny Rockets we strive to meet the needs of all of our guests. The Boca Burger patty that we use in our Streamliner is their Original V35 and is manufactured as a vegan product. Our spec hamburger buns should not contain any dairy nor other animal-derived ingredients. Our American fries also should not contain ingredients which are of animal origin and are always cooked in 100% vegetable oil. Beef tallow, or flavorings derived from animal sources, are never intentionally added during the manufacturing or cooking process. However you should be aware that, due to the proximity of the manufacturing equipment to sources of animal protein or oil from animal sources there is the slight, though extremely unlikely, possibility that traces of these unwanted products may be accidentally transferred to our American fries during their production. For this reason, and this reason only, we feel compelled to list beef tallow as a possible (however extremely unlikely) ingredient. Chain Restaurants in the U.S.A.